I write fantasy fiction and maps have always intrigued me and are a key part of my writing process. Just as the story evolves, so do the maps as I continue to build the world and explore new areas. Let me illustrate how this works using the world of Landmoor as an example. First off, I am not an artist. Sometimes I sketch my maps on my computer and sometimes I sketch it by hand. There needs to be a mix of mountains, forests, valleys, and rivers. There are little stories behind each of the countries and places and how their history fits into the general plot. I like to keep the borders of my worlds rather vague, suggesting that there are places that have not been discovered yet; where the dragons live, so to speak. It gives me flexibility as an author to continue building the world. When I was writing my novels Landmoor and Silverkin, I was lucky to have a digital artist friend, Reuben Fox, who took my pathetic rendering and transformed it into the lush map you see above. But the maps always start out as black and white in my head or on the page. Another question I get asked is how I choose all the place names. This is part of the creative process that I really enjoy and I rarely have trouble coming up with new names. I have a notebook where I write down different character and place names when the flashes of inspiration strike and I often consult that list to pick and choose. I also study maps of this world to be inspired by countries, cities, rivers, and mountains that exist today. But in each of my worlds, there are usually a few key locations which are part of the storyline, the pivot around which the plot rotates. Take Landmoor—for example. When I was first creating that world, the plot centered around a small fortified town near the edge of a swamp and close to the sea—kind of like a medieval New Orleans. That was the first location I crafted in the world. A moor is a swamp. I stuck the name “land” to it and liked how it looked on paper (I was fourteen when I first imagined that story). I’m always combining words and testing out how they fit together. As the plot of the world began to develop, I realized that there were three different political powers struggling for control over the valley between the two mountain ranges. Because the valley has limited ground, it caused military and political tensions between them. Landmoor became a crossroads for this conflict and provided a place where the tensions intersected and flared up. Add a secret magic hidden in the swamps, some powerful sorcerers manipulating the kingdoms, and soon you have a situation ripe with tension and conflict in which to plop the main character, the son of an eminent trading family who longs to escape his social class and explore the kingdoms outside his stifling cultural expectations. 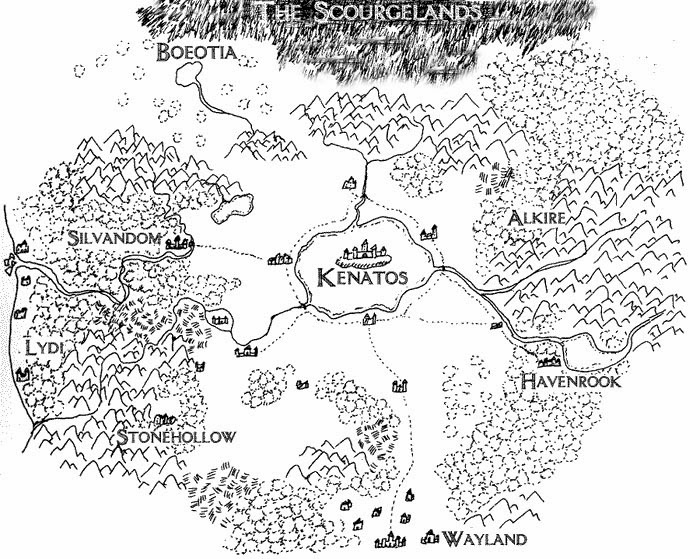 Now, even though maps are so important to me, I’ve often been asked why I didn’t include one in the world of the Muirwood Trilogy. I do have maps of this world and use them for reference, but I did not include any with the novels deliberately. You see, in Landmoor the main character, Thealos, comes from a trading family and he knows the world he grew up in. He’s familiar with the borders and the politics. In Muirwood, the main character is a kitchen servant who only knows the grounds of Muirwood Abbey where she was abandoned as a baby. As she leaves that world, she is completely lost in a vast world full of locations and politics she knows nothing about. Readers explore the world through Lia’s eyes and there is no looking ahead, trying to use the map to predict the plot or where she may end up. In the first book, she explores the land around her beloved Abbey. In the second book, she gets to see more the kingdom she lives in. In the third book, she leaves her kingdom and travels to another. I left the reader blind on purpose. One of the neatest things about creating a new fantasy world is that I don’t determine everything in advance. I use a general map as a framework for where the action will happen. But often as the characters wander around a bit, I weave in elements from my own personal travels or places I wish to travel someday. 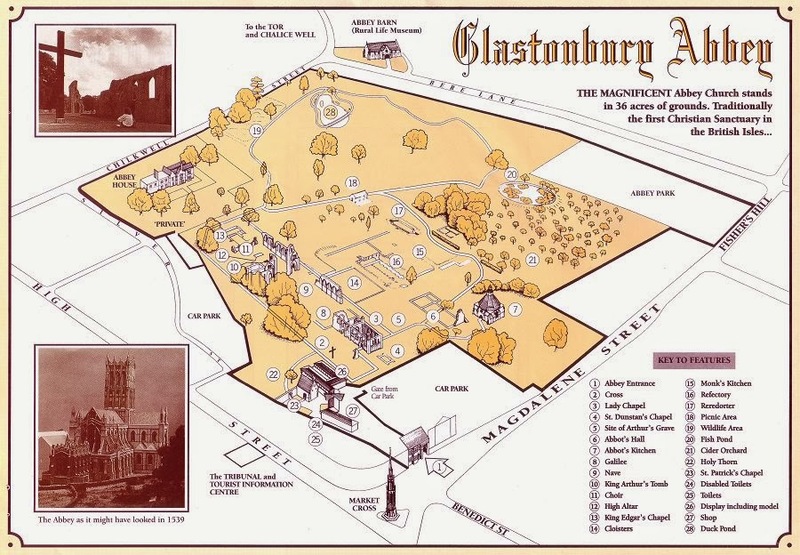 On that map, I discovered delightful details, like the Cider Orchard which played a prominent role in the story. This was the beginning of the world. Then I hunted down an ancient map of Glastonbury and the environment around and that research led to other opportunities for topography, climate, and story ideas. Before I had crafted the first chapters, exploring this map inspired many of the scenes that would later happen. World-building doesn’t happen all at once. While mine begins with a map and a general understanding of the plot and characters and how they will mesh together, I explore the world with my characters leading the way and invent the things that need to be filled in. Jeff Wheeler (@muirwoodwheeler) is a writer from 7-10PM on Wednesday nights. The rest of the time, he works for Intel Corporation, is a husband and the father of five kids, and a leader in his local church. He lives in Rocklin, California. When he isn't listening to books during his commute, he is dreaming up new stories to write. You can find out more about Jeff's books on his Amazon page.